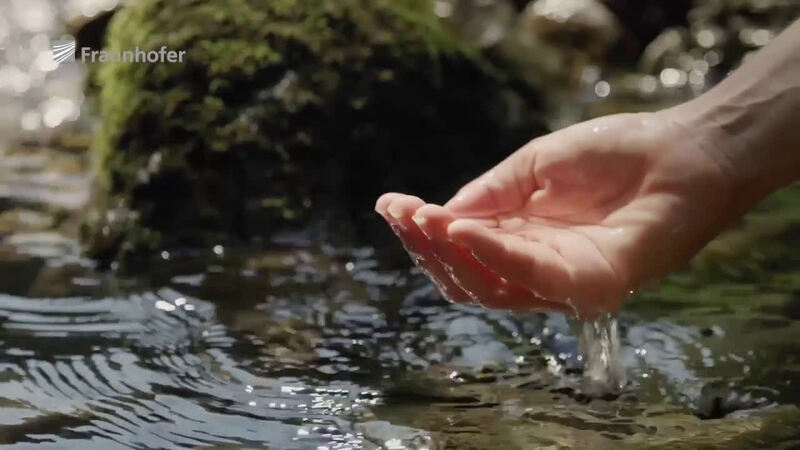 Water is vital – therefore, waste water has to be cleaned as efficiently as possible. Ceramic membranes make this possible. 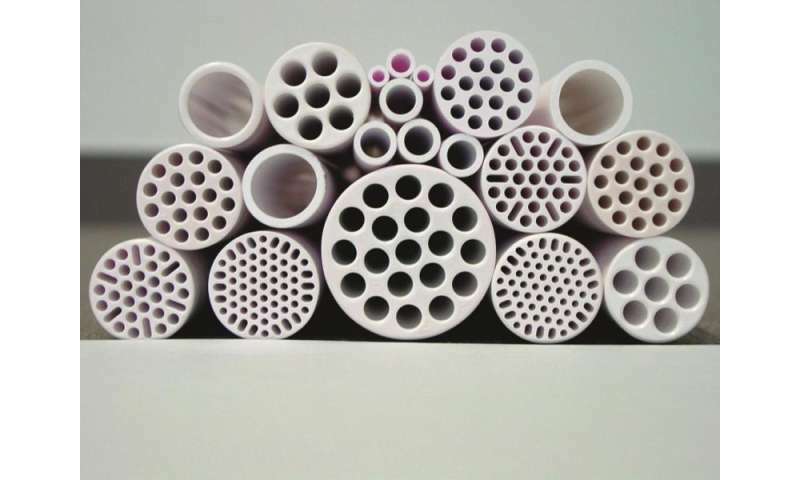 Researchers from the Fraunhofer Institute for Ceramic Technologies and Systems IKTS in Hermsdorf, Germany were able to significantly reduce the separation limits of these membranes and to reliably filter off dissolved organic molecules with a molar mass of only 200 Dalton. Even industrial sewage water can thus be cleaned efficiently. Anyone who has dragged himself along a sunny coastal path at the height of summer with too little water in his bag knows all too well: without water, we cannot make it too long. Water is one of the foundations of life. In industry, water is a must, as well: in many production processes, it serves as a solvent, detergent, to cool or to transfer heat. As more and more water is consumed, waste water has to be treated and reused. Ceramic membranes offer a good way to do this: since they are separated mechanically – similar to a coffee filter – they are particularly energy-efficient. However, this method previously came to an end when a molecular size of 450 Daltons was reached: smaller molecules could not be separated with ceramic membranes. According to experts, it was even considered impossible to go below this limit. But how did the researchers manage to do this? On the way to making the impossible possible, it was first necessary to overcome various obstacles. The first was in the production of the membrane itself: if such small molecules were to be separated reliably, a membrane was needed that had pores smaller than the molecules which were to be separated. In addition, all of the pores had to be as similar in size as possible, since a single larger opening is sufficient to allow molecules to slip through. The challenge was therefore to produce pores which were as small as possible, with all of them having more or less the same size. "We achieved these results by refining sol-gel technology," says Richter, Head of Department at the IKTS. The second hurdle was to make such membrane layers defect-free over larger surfaces. The Fraunhofer researchers have succeeded in doing this, as well. "Whereas only a few square centimeters of surface are usually coated, we equipped a pilot system with a membrane area of 234 square meters, which means that our membrane is several magnitudes larger," explains Puhlfuerss, scientist at the IKTS. For the development of the ceramic nanofiltration membrane, Dr. Ingolf Voigt, Dr.-Ing. Hannes Richter and Dipl.-Chem. Petra Puhlfuerss received this year's Joseph von Fraunhofer Prize. The jury justifies the award by mentioning, among other things, "the first-ever realization for filtration applications within this material class."